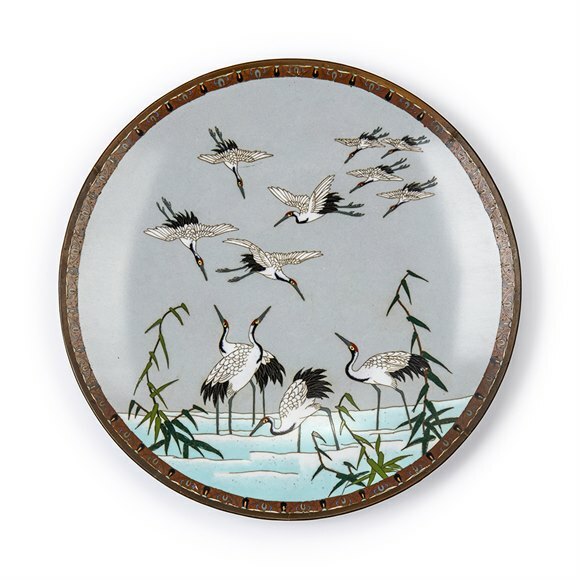 A superb antique Chinese Canton enameled teabowl and fitted saucer stand dating from the 18th century. 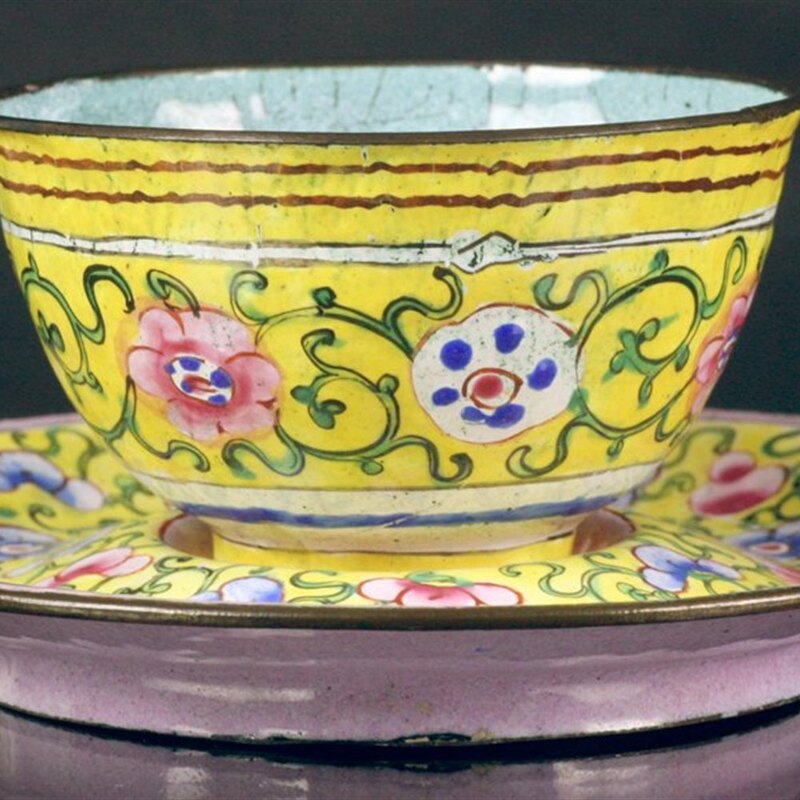 The rounded teabowl stands on a narrow rounded foot and is hand decorated with scroll and floral designs painted in coloured enamels against a yellow ground. 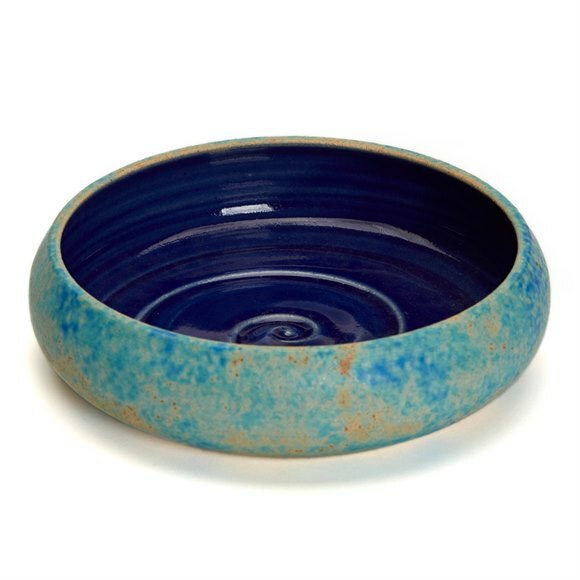 The inner bowl is finished in a speckled robin egg blue with white enamel applied to the base. 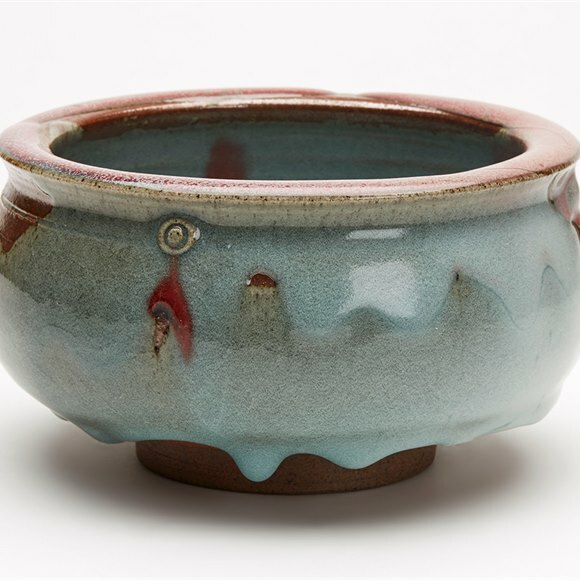 The saucer stand has a recessed central well into which the teabowl fits. 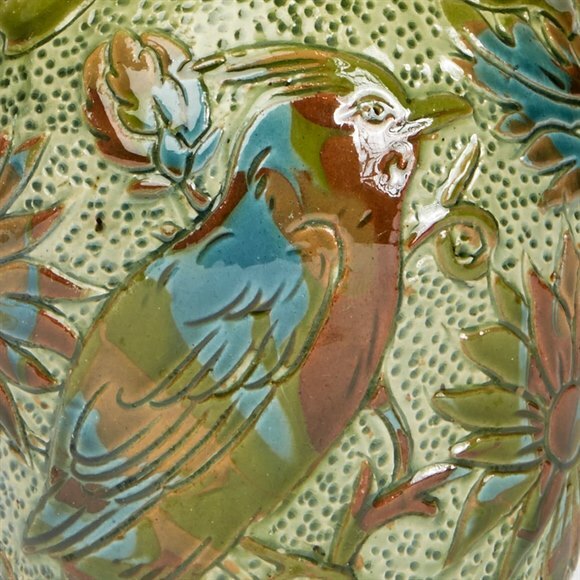 It too is decorated with a floral and scroll work design in blue, pink and green against a yellow ground with a central flower painted within the recess. 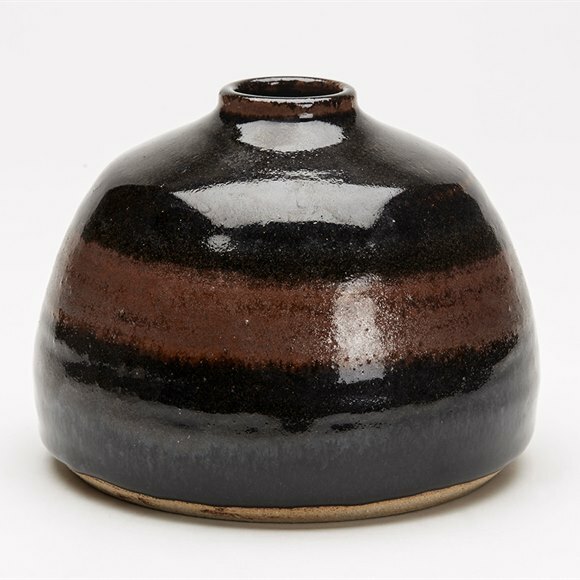 The base is finished in a speckled pink glaze. Neither piece is marked.